Dog collars and harnesses come in many shapes, sizes and designs. While buying a collar, harness or leash for your pet may seem like a simple task, walking into a pet store or checking out a pet supply website can feel quite the opposite. It can be rather intimidating when you are presented with seemingly endless choices, but a little research should help you to better understand the different options available and find one that works for you and your dog. Collars come in varying styles, from flat to martingale to choke chain. There are many cool dog collars available in durable materials like nylon and leather. You can get specialized training collars like e-collars or dog shock collars, not to mention personalized and custom collars. You can even get dog cooling collars to help beat the heat of summer! For most dogs, a standard flat collar is the best option as this is more comfortable, designed to lie flat against the dog's neck and not restrict movement or breathing. Martingale collars work similarly to choke collars. The dog's head goes through a large loop and the leash is attached to a second, smaller loop. When control is required, a tug on the leash will cause the large loop to close enough so that the dog can't slip the collar but not enough to actually choke. Choke chain and prong or pinch collars should be used only for training the most severe discipline problems and only with the utmost care. As with shock collars these may have a time and place where they are appropriate but only with in-depth knowledge or the guidance of a professional dog trainer. The idea of these collars is to dissuade the dog from the bad behavior, never to inflict harm. When used properly these can be effective training tools. In other cases where a collar may not be getting the job done, the dog harness may be your best alternative. Rabbitgoo Front Range No-Pull Dog Harness. See Amazon for details and customer reviews. Like collars, there are several different styles of dog harness and the one you choose will depend on certain factors like the problem you are trying to correct and the breed and personality of your dog. Dog collars and harnesses are meant to help you maintain control of your dog and to prevent injury to the dog or to other dogs or people. No matter which one you choose, it should always fit comfortably and work properly. The dog harness that is used most often is the front-clip harness. This type of harness clips over the dog's chest area. 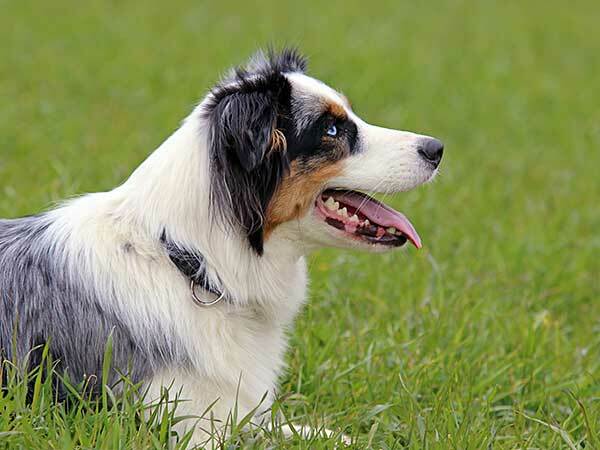 It can be particularly effective with high energy breeds like the Australian Shepherd that may need a little more control, and can also be quite useful when training your dog for loose leash walking. A dog car harness is also available to help keep you, other passengers in the vehicle, and your dog more safe. Dogs that are loose in the car present a safety hazard as they can distract drivers or in the event of an accident can be more severely injured or cause injury to others. A back-clip harness, which fits over the chest and clips on the back, can also provide stability and control, especially for short nosed breeds like the Pug or Bulldog, whose airway can be easily restricted by traditional dog collars and harnesses that clip in the front. The back-clip harness is not recommended for dogs that are learning loose-leash walking, as it can encourage pulling. Again, the dog harness that you choose will depend entirely on the size and breed of your dog and on what you are trying to teach. Harnesses can be particularly helpful for maintaining control when teaching your dog agility commands (like the "Back" commands), and recall work. The head halter, which loops around the dog's muzzle, can also be used to keep your dog's head up and maintain his focus on you during obedience training sessions. It is important to remember that dog collars and harnesses are training tools and not meant for disciplinary purposes. The goal is to use them only when necessary and to incorporate them into your obedience or agility training regimen. When approached properly and with the right information in mind, you should be able to easily choose a collar or harness that works for your best friend. A dog id tag is usually one of the first things that most pet owners decide to invest in and with very good reason. Get peace of mind with the Whistle Dog Tracker and follow your dog's movements and pinpoint his location at a glance. Safety dog collars can be the most important investment you make in order to care for and keep your dog safe. A dog seat belt harness is an extremely important piece of safety equipment for any dog owner and is well worth it. Fancy dog harnesses add some style and flair and can be a fun and functional alternative to traditional collars. A reflective dog harness can be the perfect solution for making evening and nighttime walks safer for you and your dog. A dog cooling vest can literally be a lifesaver when the weather heats up, especially if you've got an active dog. A dog shock collar can be a useful training tool to break dogs of bad habits or keep them within a safe boundary. Looking for cool dog collars? Fortunately, there are tons of options out there for every size, breed and taste.